The recent rocket attack on Camp Liberty - the transient settlement facility of the terrorist Mojahedin-e Khalq Organization in Iraq - unveiled the deep differences between the terrorist group and its American and European lobbyists. 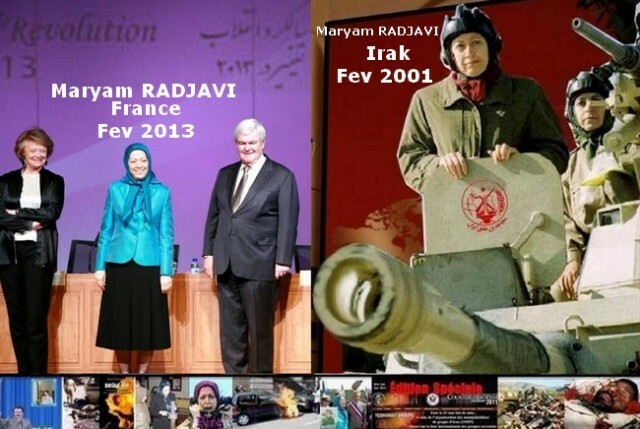 According to a report by Didehban center, pro-MKO lobbyists, who are mostly retired European and American politicians, have recently concluded that the criminal activities of the MKO (also known as the MEK, PMOI and NCR) will definitely prove costly for them. They have recently increased their criticism about the "irresponsible" remarks of MKO's ringleader, Maryam Rajavi, and the negative impacts of her remarks. 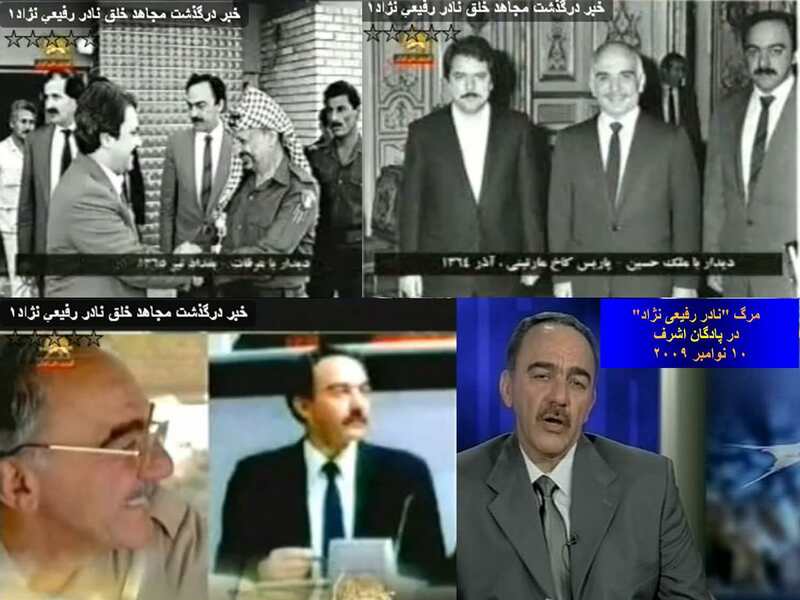 These lobbyists have realized that MKO ringleaders want to massacre the group's members as they see such bloodshed as the only way to guarantee their longer stay in Iraq, while their lobbyists such as former New York mayor Rudy Giuliani have asked for the transfer of the MKO members to the US, said the Didehban report. In Washington on Saturday, at a convention of Iranian-Americans, Giuliani called on the United States to take in the camp residents. "These people can all be removed within hours," Giuliani said. "Planes can be sent immediately. They can be here within a day. We have done far more difficult things than that. It's only about 3,000 people." The report came after some media reports alleged that Katyusha rockets fired on the Camp Liberty have killed five members of the MKO. About 40 members of the terrorist group were reportedly wounded in Saturday's attack, along with three Iraqi policemen, said the reports. Meantime, a senior Iraqi lawmaker said that the recent rocket attack on Camp Liberty was a move to convince Iraq to allow the MKO to return to Camp Ashraf, but such actions are futile the grouplet's return to its main training camp is impossible. "Attack on the MKO aimed to rally the support of the international community's public opinion for the MKO's return to the Diyala province and Camp Ashraf," Abdullah al-Naeli said on Wednesday. "But returning the MKO's members to their previous position is not possible, specially given the fact that Diyala residents spent much efforts to expel them from their province," Naeli was quoted by Ashraf News as saying. 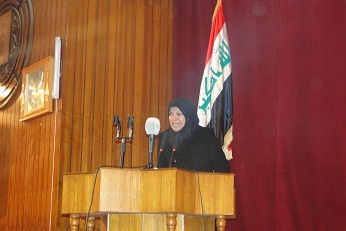 The Iraqi lawmaker added that the Baghdad government is seriously investigating the attack to find out the realities. Following the campaign launched by the Mujahedin Khalq Organization (the MKO /MEK) on the alleged “inhumane condition” of Camp Liberty, the group leaders and supporters propagate “the necessity of returning residents to Ashraf”. Alejo Vida Quadras, the top MKO supporter in European Parliament suggested the new propaganda under the pretext of "lack of progress in relocation to third countries". On January21, 2013, in a debate in UK parliament House of Lords, a few number of Lords expressed their concerns over the situation of Liberty residents. Baroness Warsi, a conservative member of UK House of Lords convinced her coulleagues that heavy rainfall that flooded parts of Camp Liberty as well as many parts of Baghdad "did not affect residents’ accommodation blocks". To respond her misinformed colleagues about the claims of ex-UNAMI chief Taher Boumedra and the alleged inefficiency of Martin Kobler over Camp Liberty issues, she noted:”Our own officials visited in July last year and the international community does not, at this stage, find any credible evidence to support the matters that have been raised by Mr. Tahar Boumedra.” Boumedra's claims are still used as evidence by the MKO propaganda. Lord Avebury who is one of the most loyal supporters of the MKO in UK parliament he pointed to allegations of “ill-treatment such as denial of access to urgently needed medical treatment”. In response Baroness Warsi mentioned that the situation of Liberty residents is “in many ways much better than that of residents in Baghdad.” She referred to the 24-hour electricity available in the Camp while Iraqi nationals enjoy power only three hours a day in some areas of Baghdad. She also noticed that enough water and medical facilities are available in the camp. Baroness Warsi warned her peers in UK parliament that they “must be incredibly careful” about the MKO regarding its history and record. The new tactic, the MKO has used to maintain the hegemony over its cult-like group seems to be an alternative to the previous agenda which was running petitions and lobbying efforts to make the UN grant the status of a refugee camp to camp Liberty. The failed tactic led the group to run the new one: return to Ashraf where they claim to own its properties. In their most recent misinformation event in Paris, the “speakers condemned forcible eviction of Ashraf residents and their transfer to Liberty prison…”, according to NCRI website . 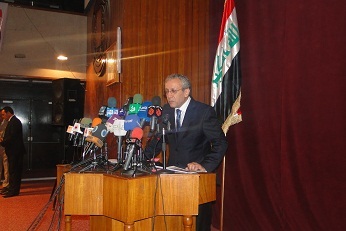 They called for “the return of Ashraf residents to the modern town they built in 26 years.” Lord Dholakia’s asked about refugee status of Liberty while he confessed that he WAS misinformed by the MKO saying,”the information the Minister has is not the information that we receive from residents of those camps". Ordinary residents of liberty have no access to the outside world let alone contacting a UK Parliamentarian. According to reports, almost all former members of the MKO who fled the group camps in Iraq could manage to resettle whether in Iran or in European countries. 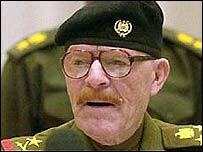 It sounds that leaving Iraq is not so difficult that the Rajavis could not relocate their members yet. Probably it's not the matter of ability it's the matter of will. Initially, a place had to be found to meet Rajavi’s needed features for the thought reform environment, a place totally cut and isolated from the modern world. 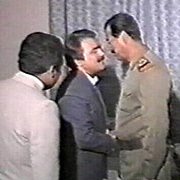 But Rajavi had already made his decision on the place even before the initiation of the ideological revolution when he met with Iraq’s Foreign Minister, Tariq Aziz, on 9 January 1983 in France. Consequently, grabbing at the granted opportunity to enhance close relations with Saddam and Iraq’s Baath Party, Rajavi made his flight to Iraq after the French government pressed the organization to leave the country’s soil. To justify his relocation to Iraq, Rajavi reportedly announced that he had decided to settle in Iraq as it was a strategic site to carry out operations aimed to overthrow Iranian regime. He moved to Iraq at a time when the Iraqi forces had many kilometers of Iranian lands under their boots, a move that none of the opposition could tolerate. No doubt, MKO was empty handed when it arrived in Iraq in 1986 and in need of aid. 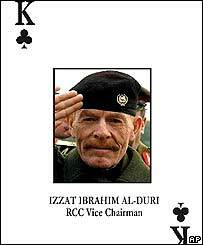 Rajavi’s consequent meeting with Saddam and then with other Iraqi ranking officials followed with dollar allocations as well as granted military camps and logistics boosted a broad collaboration that lasted until the fall of Saddam. Settled in Iraq, the members were forced to stay on military compounds, the biggest one being Camp Ashraf. In fact, when Saddam in 1986 granted Camp Ashraf to MKO, it was nothing more than a piece of wasteland as it is geographically the case with other parts of the region. 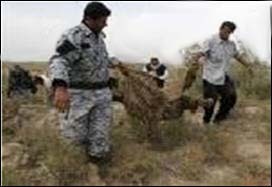 But Saddam’s granted huge sums of money cut from the pocket of the Iraqi people, and Rajavi’s physical and psychological exploitation of his cult’s victims, turned the scorched piece of land into an oasis that none of the people around it had the right to enter nor to use. Nobody knows the many secrets behind this forbidden land; nobody knows the whereabouts of those who entered the mysterious stronghold and never came out; it is full of souls who are claimed to have died of unknown causes, suicides, heart or brain stroke, cancers and self-immolation. Under any brick and stone you can come upon scores of men’s lost lives, wills and wishes. And nobody forgets many instances of the confirmed unearthed mass graves reflected in the Iraqi media. Once Dr. Ali Shariati, the late Iranian thinker, in one of his books entitled “Ye Brother, That’s The Way it Was” written soon after his return from Egypt, related the sad history of how the Great Pyramids had been built. He regretted that what people appreciated as wonders were the product of many victimized, oppressed people who had been brutally exploited by the pharaohs to build the wonders. Neither Rajavi is to be compared with the Pharaohs nor the Pyramids with the Ashraf nor the latter’s victims with the former’s. But, it is rather a shame to witness such things happening just in the modern third millennium. And the history is repeated just in the heart of Iraqi deserts where “the pearl of the desert”, as some locals call Ashraf, emerged out of some land hardly you can chance upon green life. It has been repeatedly stated that Rajavi is the one who has openly raised the slavery flag over his bastion with no clear objection to it. His victims are the laborers who are enslaved physically and psychologically; they have to work for him and worship him as well. 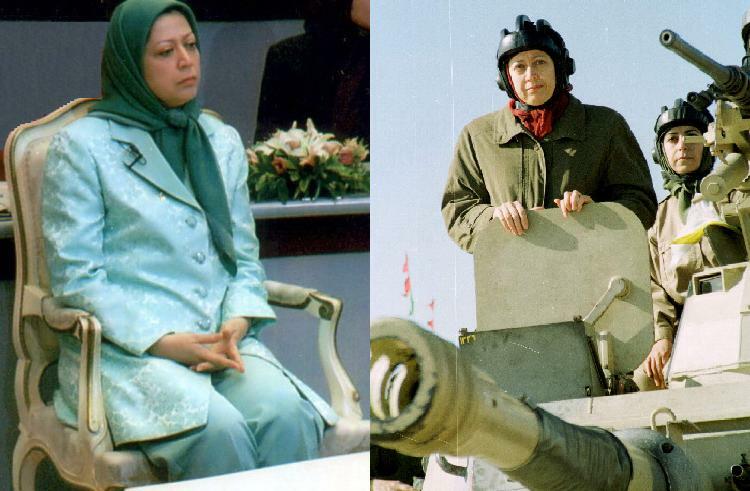 Besides providing an ideological bastion for cultic practices and total disconnection of the insiders from the outside world, MKO needed a strategic bastion as it was an armed organization at war with Iranian regime. Strategically, MKO needed a military base close to Iranian borders for training and a military depot for substantial munitions especially after the formation of the so-called National Liberation Army (NLA). And from a political point of view, MKO regarded Ashraf as the symbol of power and resistance in its propaganda campaign for certain reasons, to impress Iranian and non-Iranian supporters and western politicians and also to recruit new members by a superficial depiction of a utopia. Iraqi officials announced that a number of al-Qaeda operatives have been trained in the main training camp of the terrorist Mojahedin-e Khalq Organization in Iraq's Diyala province (Camp Ashraf) to carry out terrorist attacks against the Iraqi people. "When the MKO elements were still in Camp Ashraf, the al-Qaeda forces were trained in there and the camp had turned into a center for terrorism and killing," Head of the Security Committee of Diyala province Meysam al-Tamimi said. According to Ashrafnews, Tamimi also said that the Iraqi security forces have found a secret cache of heavy weaponries in the Camp, adding that the MKO had been training the al-Qaeda members how to use these weaponries. He said that the al-Qaeda members were trained to conduct terrorist operations in the province specially to force the people residing around Camp Ashraf to leave the area. The mass graves which have recently been unearthed near the main training camp of the terrorist MKO in Iraq's Diyala province also unveiled a strong bond between the MKO and the Al Qaeda terrorist group. Speaking to FNA on Sunday, Udai al-Khadran, the governor of the city of Khalis in Diyala province, said Al Qadea and the MKO members cooperated to intensify unrests in Khalis. He added that the MKO members are involved in Al Qaeda bombing plots and kidnappings in Diyala. 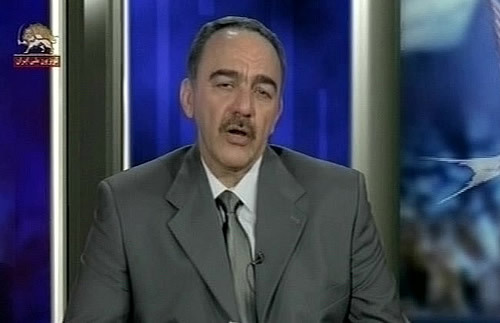 Khadran added that there exist documents substantiating that some Iraqi officials are collaborating with terrorists and have taken bribes to the very same end. Earlier in January, an Iraqi official said several mass graves have been unearthed in Camp New Iraq, formerly known as Camp Ashraf, in Iraq's Diyala Province, which was the headquarters of the terrorist MKO. Sadeq al-Husseini, the deputy chairman of Diyala's provincial council said that the Iraqi Ministry of Human Rights was in charge of determining the identities of the bodies and whether they were Kurds, the residents of southern provinces or from the town of Khalis in Diyala Province. Many of the MKO members abandoned the terrorist organization while most of those still remaining in the grouplet are said to be willing to quit but are under pressure and torture not to do so. The US formally removed the MKO from its list of terror organizations in early September, one week after Secretary of State Hillary Clinton sent the US Congress a classified communication about the move. The decision made by Clinton enabled the group to have its assets under US jurisdiction unfrozen and do business with American entities, the State Department said in a statement at the time.